During the holiday season, oven space is at a premium. Additional baking space can turn family feasts from a mess into a masterpiece. Aren’t you glad, then, that you’ve got a Smoke Vault ready and waiting in your backyard? We know what you’re thinking: you don’t want your holiday pies and breads to taste like smoke. But if you use the tips below, you can use your Smoke Vault just like your kitchen oven and skip the smoky flavor. Try baking, browning, or crisping your favorite recipes in the Smoke Vault this year. • Before baking, remove the chip tray and any wood chips (unless you want to bake with smoke). 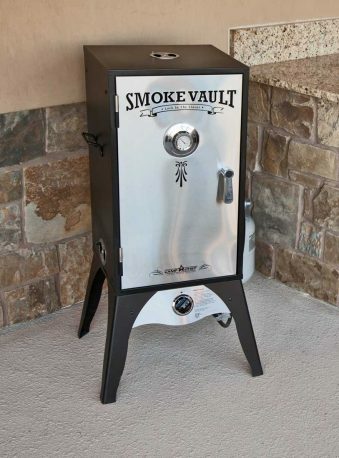 • Run the Smoke Vault on High for 20 minutes before baking to clear out any of the remaining smoke flavor. 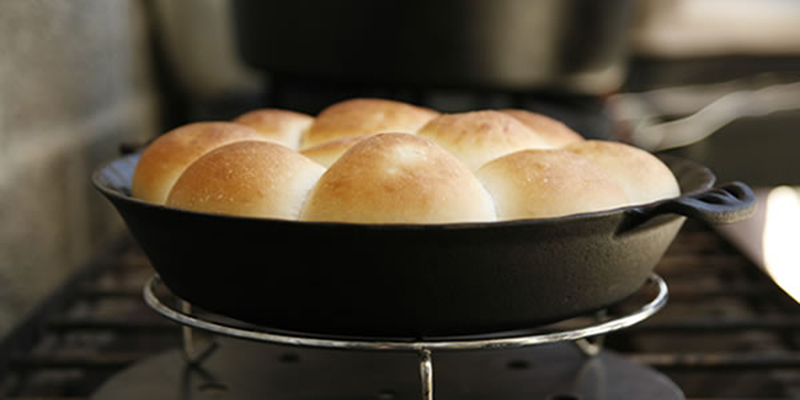 • Bake at the same temperature as you would in your kitchen oven. • Preheat the Smoke Vault for about 15 minutes before baking. • Bake breads and pies on the highest shelf of the vault while still allowing enough room for them to rise. This will brown the top of your baked goods for a golden brown crust. • If you are baking on more than just the top rack, wrap the lower racks in aluminum foil to reflect heat downward. Place your baked goods underneath racks with foil on them, so the heat will reflect on the top of your food and create perfect golden crust. • Place your Smoke Vault where it can be somewhat sheltered from the wind. This will help it maintain a steady temperature. • Only open the vault door when necessary. You don’t want to let the heat out. • Use cast iron baking dishes to keep the heat even more consistent. • If your Smoke Vault struggles in cold weather, try placing bricks on the empty racks. They will absorb and radiate the heat so your vault doesn’t have to work so hard. • Rotate each dish onto the top rack when you’re almost finished baking for extra crispy crust. Let us know how your Smoke Vault baking goes this season in the comments below! I need the gas burner for this smoker.i’m having a hard time finding it on your site.